Richard L. Kerzee has been an attorney with Duckett, Bouligny & Collins, L.L.P. 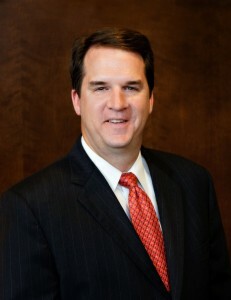 since March 2006 and was named a partner in the firm as of January 1, 2013. Richard has obtained favorable verdicts, judgments, and settlements on behalf of clients in a wide variety of cases, including civil litigation, personal injury, family law, probate litigation, general business, creditor collection issues, and appellate practice. Prior to law school, Richard worked for 15 years in the insurance industry with Farmers Insurance Group in the claims department, the special investigations unit, and marketing while earning his CPCU designation from the American Institute of Chartered Property & Casualty Underwriters in 1997. Richard is a member of the Wharton County Bar Association (President, 2008-09); State Bar of Texas; Board of Directors, West Wharton County Hospital District (2007-present); Rotary Club of El Campo (President, 2011-12), Rice Belt Chapter of Ducks Unlimited (Executive Director, 2001-02), the El Campo Chamber of Commerce and Agriculture, and the Dallas Safari Club. Richard is married to Linda and they have two sons, Chris and Kyle. Richard has volunteered his time coaching youth athletics in El Campo since 1998. He currently volunteers his time as a coach at St. Philip Catholic School in El Campo. Richard enjoys the outdoors and hunting.